Dublin Bay - red climber or big bush, fragrant re-bloomer. Dark red, hybrid tea size blooms in small clusters fill the plant from the ground up. The dark green foliage covers the canes well and it's among the most disease resistant of all red climbers. It can be trained to almost any type of trellis, even a straight up and down to eight feet. And it has a nice light fragrance. Blooms on new and old wood. Flower Size: 4-6". Dublin Bay is an excellent big bush or climbing rose. 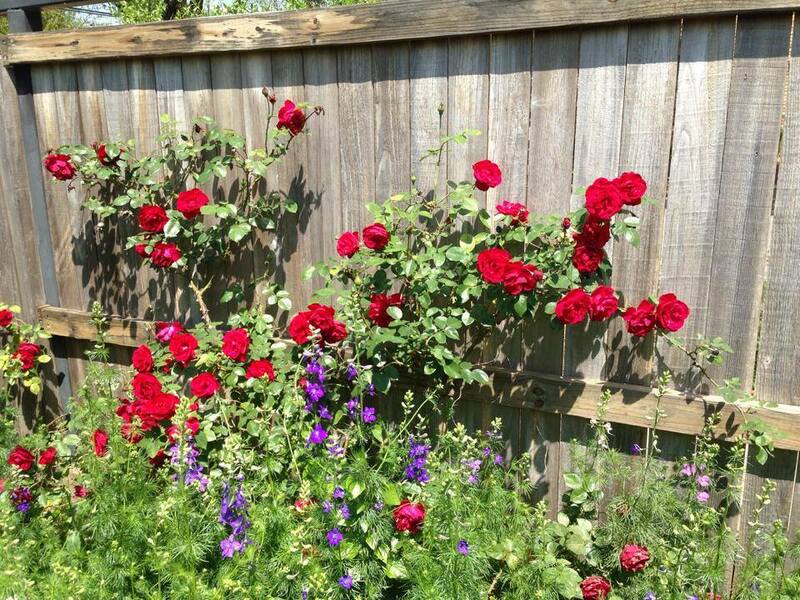 It’s very hardy and it's a true red rose - not like some of the washed out varieties. It's fragrant with a consistent repeat flowering through the season. 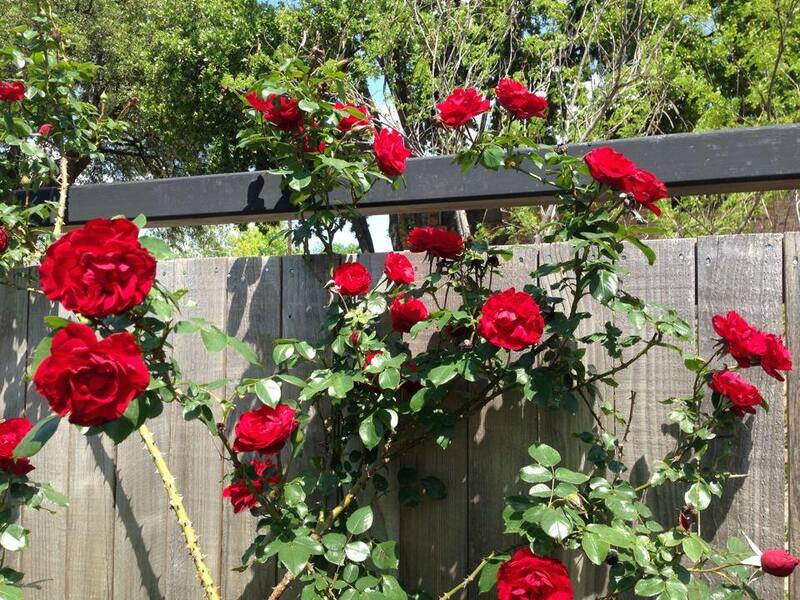 It is not prone to the black discoloration on the petals that often affects darker red roses. It is a distant relative of ..."New Dawn", which is a pale pink rose. Origin: 1975 by Samual Darragh McGredy IV.